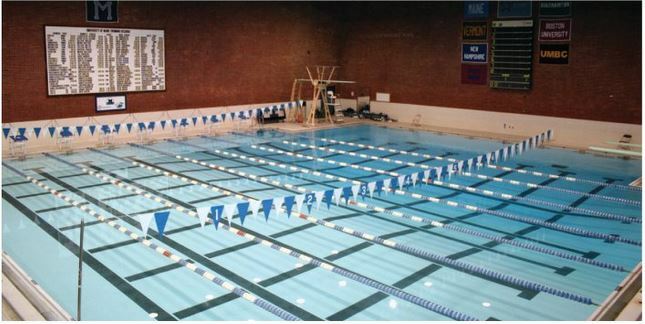 The Wallace Pool is UMaine’s competition swimming pool. The Athletic Department allows Campus Recreation to use Wallace Pool for programming and open swim during certain hours. During these times the pool may only be used for personal recreation and fitness. For access, you must have a Campus Recreation membership or pass – including but not limited to a UMaine Employee Voucher, UMaine Student membership, Punch Pass, or Day Pass. Any requests to schedule Wallace Pool must be directed to the UMaine Athletic Department, for more information call 581-1074. For CLOSED dates and hours on any specific day, please visit our Facility Calendar. 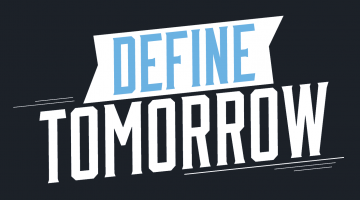 Monday – Friday: 10:30 a.m. to 1:30 p.m.
Tuesday – Thursday: 11:00 a.m. to 1:00 p.m.
Campus Recreation facilities, equipment, and other resources may not be used for coaching, personal training, instruction, or other similar purposes unless conducted by 1) Campus Recreation employees as a part of their employment, or 2) by entities authorized by Campus Recreation. Any other organized activities must be approved and scheduled by the Campus Recreation Operations Coordinator unless otherwise specified for that facility.